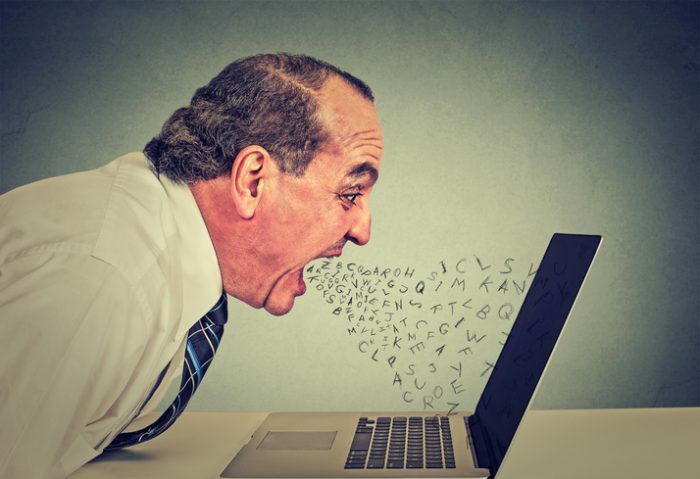 Shooting off an email that express displeasure with a colleague is an insensitive, counterproductive means of communication that can create tremendous ill will between the recipient and sender. There is a time-tested adage for giving feedback to colleagues that is as valuable today as it was when it first was uttered decades ago. It is this: Praise in public, criticize in private. However, you might not be aware of the saying’s 21st century corollary. It is this: If you are going to criticize in private, don’t do it via email. You probably haven’t heard of this addendum because I invented it (or so I think). However, I can attest from personal experience that shooting off an email that expresses displeasure with a colleague is an insensitive, counterproductive means of communication that can create tremendous ill will between the recipient and sender. I learned this lesson the hard way about 25 years ago, in the early days of email becoming common in office use. I was the editor of a city business publication, Crain’s Cleveland Business, and I wasn’t pleased about something two members of our staff had done. Unless I was to undergo hypnosis, I couldn’t tell you today why I wasn’t happy with my colleagues Chris Thompson and Stan Bullard, who happen to be two of the best journalists and gentlest souls I ever worked alongside. And that’s what made this incident all the worse, because I succeeded in unnerving Chris and Stan and potentially poisoning my relationship with two anchors of our staff. I do remember that Chris and Stan were working on a project together. But, rather than address them face to face, I decided to save my breath and use this newfangled communication tool of email to send them both the same message conveying my upset about whatever it was that disappointed me. The specifics of what I wrote are somewhere in hyperspace, but I do know I said something to the effect that I could clobber each of them for what they had done or didn’t do. I meant those words only as a figure of speech. However, Chris and Stan separately would come to my office that day to tell me that they perceived the words as a physical threat that they didn’t appreciate. And that’s the biggest problem with email. It’s hard enough to hear critical comments when someone delivers them to you face to face. The problem grows exponentially when the subtlety and nuance that vocal tone, facial expressions and body language can convey with the directly spoken word give way to the unmoderated harshness with which critical words often are perceived in written communication. I doubt Jesus had these critical emails in mind when he offered the principle outlined in the Book of Matthew for how to address displeasure with the words or deeds of another person, but it is a valuable practice to follow. Jesus said that if someone sins against or acts wrongly toward you, you should take your grievance directly to that person in hopes of settling the matter. This first-century form of dispute resolution remains the way to go. I would apologize profusely to my colleagues Chris and Stan and we would get past that incident to enjoy many wonderful years of working together (indeed, Chris remains one of my dearest friends to this day). But the error of my ways wasn’t lost on me, and I never again would use email as the starting point for criticism of someone’s performance. PRACTICAL APPLICATION: Email can be a useful tool in the criticism process. However, it only should be used after a face-to-face meeting takes place in which the supervisor presents his or her criticism of a colleague’s performance or actions and gives the co-worker an opportunity to respond. The objective is to turn a negative into a positive by engaging in a constructive conversation in which the co-worker learns from the experience and applies better judgment or effort going forward. A follow-up email written in a straightforward manner then can serve as a “for the record” summary of what was discussed and a concise outline of expectations so that the path to improved performance is clear to all parties. Do you have thoughts about this post or a subject you’d like Mark to tackle in a future column? Leave a comment or e-mail him at mark.dodosh@gmail.com.